Wat Pasi is a slightly different style of temple that is worth a visit. 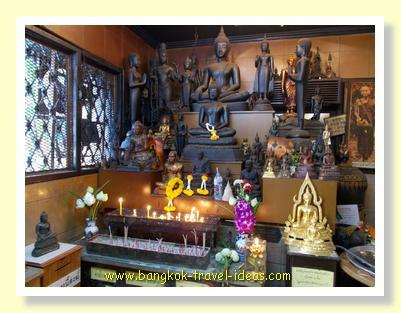 If you didn’t know, Thai people like to go and visit all different sorts of temples and don’t just stick to visiting the same one. 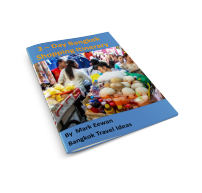 If a Thai discovers a new temple that they like, then sure enough there will be an excursion shortly thereafter to take all their friends along. I don’t really know how this temple came to be selected as the place to go, but I suspect it was related to it being found by one of our friends. We arrived mid-morning and I was struck by the external appearance of the temple because of the unusual gold pyramid roof. Most Thailand Buddhist temples have a red tiled roof, so this is a little different and it seemed more reminiscent of a temple from India than a temple in Bangkok. Inside the gate and on the right side were some stone balls and some figurines of past monks. 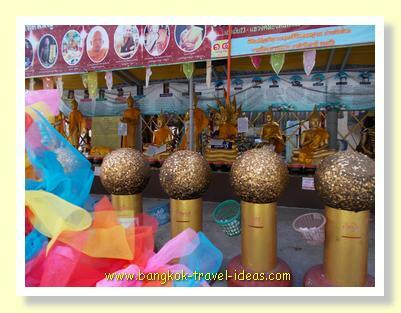 If you purchase a Lotus flower and some gold leaf you can make merit here and stick the gold leaf onto the large balls to try and completely cover them in gold. 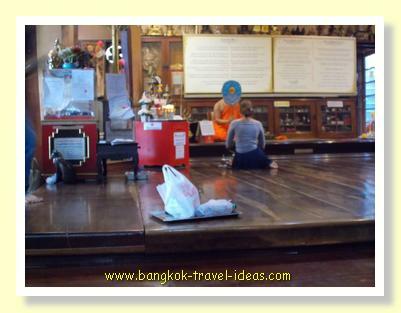 To the left was an entrance with a small stall outside selling baskets of offerings to the monks. 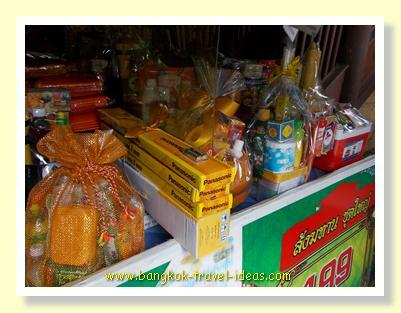 You can just see that the ones on the right are selling for 199 Baht. We bought one and went in. It was quite dark inside, until my eyes became accustomed to the light level and then I could see that a senior monk was blessing groups of people. I noticed that if there were women in the group being blessed the monk would shield his eyes from them with what looked like a fan on a stick. We waited our turn and then went up onto the raised floor. The monk started chanting and then we had to follow on. Not having learned this chanting in school it was a little difficult for me, obviously Thai people have memorised the words from an early age and so they have a significant advantage. However as luck would have it the chants were printed in English on the wall behind the monk and so it was possible to follow on, or at least I made a good attempt at it. I kept getting lost, but like when you forget the words of the hymns in church, I just moved my lips. After a few sessions of chanting and responding we got to donate our gift to the monk, returned to our places and then got sprayed with holy water to make sure we have good luck in our lives and our wishes all come true. Our turn ended and we left the floor and another party took our place. Outside in the bright sunlight it felt like lunchtime and so we wandered over to the small noodle shop directly opposite the entrance to the temple. They had some quite nice food on offer and it probably only cost less than 200 Baht for three people. 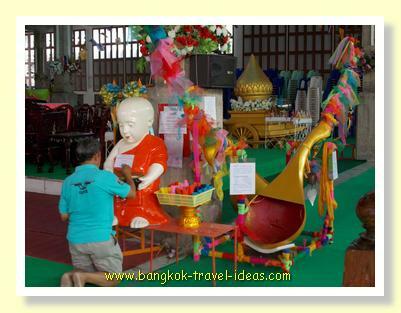 If you want to visit a Thailand Buddhist temple and not be surrounded by hordes of tourists and you need to be blessed to ensure continuing good luck, then give Wat Pasi a visit. Petchaburi Road leads out of the city; it then turns into Phattanakarn Road and continues as On Nut Road all the way to Suvarnabhumi Airport. 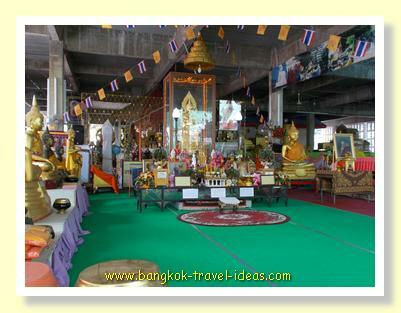 This temple is located close to the intersection of Petchaburi Road and Sukhumvit 63 (Ekkamai Road). Take a right turn off Petchaburi Road and continue on past Ekkamai 23 as you can’t turn right here, but you will need to do a U-turn or take a right turn further into Thonglor 20 and go in from that direction. 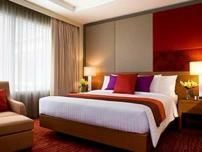 Haven't got your bearings in Bangkok yet? 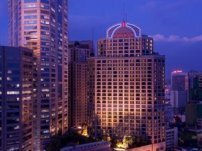 Then imagine that you are standing outside Pantip Plaza or the Amari Atrium Hotel, then in fact you are standing on Petchaburi Road. 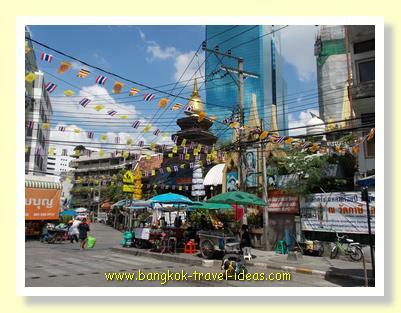 You will know that if you go to the intersection and head towards Central World you will cross over Klong San Saeb. 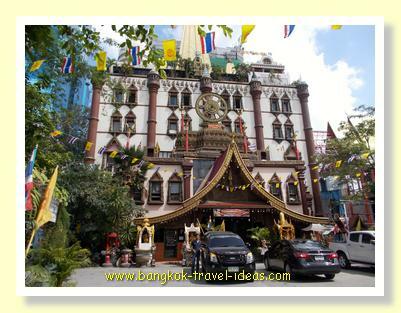 The ferry boat that runs on Klong San Saeb can take you all the way to Wat Pasi as the temple backs right onto the canal. Actually the ferry wharf is on the other side of the canal to Wat Pasi and so you will have about a 500m walk around to get to the temple grounds. 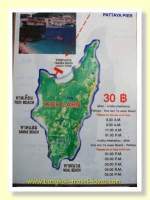 So you can either take a taxi or bus along Petchaburi Road or go on the ferry. Check it out on Google Maps below so you can see where to go. 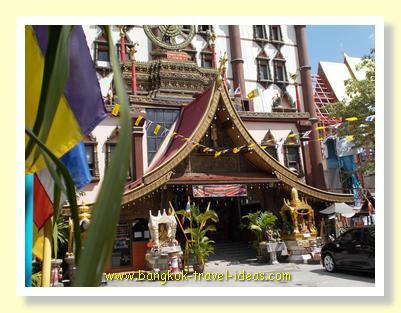 If you are interested in this you may be interested in other Bangkok Temples.